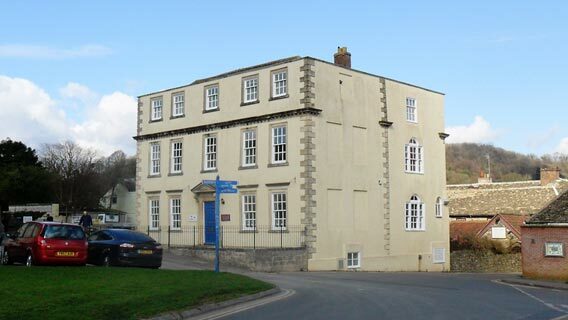 Our office is based in the heart of the Cotswold market town of Wotton-Under-Edge and serves a main client base covering the Severn Vale and South Cotswolds. The offices themselves are situated adjacent to the main parking area in the town and provide an excellent base from which the staff can work. The team were all brought up locally and many are from farming backgrounds meaning they are well placed to advise clients in a practical manner using their knowledge of the local area. Matthew Blaken is the Director in charge of the Wotton-under-Edge Office and heads up our team of staff within the Rural, Residential, Commercial and Design departments. Wotton-under-Edge is a charming country town, tucked away under the Southern edge of the Cotswolds, equidistant from Gloucester and Bristol, Cheltenham and Bath, only a few miles from the M4 (Junction 18) and M5 (Junction 14). For those enjoying a slower mode of transport, the Cotswold Way National Trail passes through the town, along the main shopping streets which are packed with small family run shops selling an amazing range of goods. The town also offers a wide range of services and places to eat. Wotton is a hospitable, thriving and lively place, with interesting and historic buildings. Many visitors fall in love with this ancient town, which still embodies many of the features of small town life which have disappeared in bigger places.